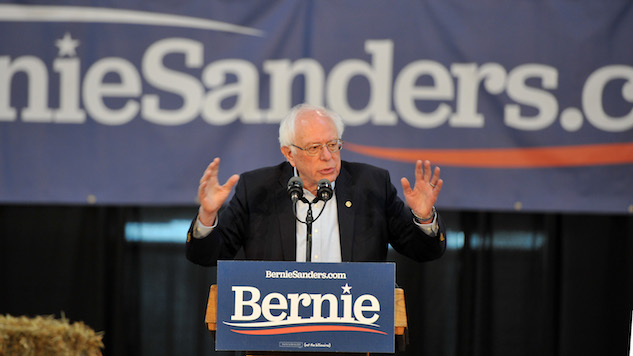 Emerson College has released a new poll of Democratic primary voters in Wisconsin that has Sen. Bernie Sanders leading the field with 39 percent of the vote. His closest challengers are former Vice President Joe Biden with 24 percent and Sen. Elizabeth Warren with 14 percent. Wisconsin is of particular importance to Democratic hopefuls in 2020, as it was one of the major swing states that went to Trump in 2016. The poll surveyed the early loyalties of 324 Wisconsinites between March 15-17, with a margin of error of 5.4 percent. It found that Sanders carried voters aged 18-29 with 61 percent of the vote, with Warren trailing behind at 15 percent. Meanwhile, Biden held the 65-plus demographic with 38 percent to Sanders’s 21 percent. While this new poll does shed some light on how the primary is shaping up in Wisconsin, many of the candidates’ numbers hinge on whether Biden decides to enter the race. If Biden decides to stay out, Emerson projects that most of his voters would move to Beto O’Rourke and Sen. Kamala Harris as the ascendant establishment candidates, with O’Rourke scoring 20 percent of the vote and Harris getting 16 percent. In this scenario, both candidates would climb above Warren, who would remain at 14 percent if Biden stays out. Things get a lot tighter when looking at each candidate’s chances in the general election. Biden is currently the most favorable match for Trump in Wisconsin, with 54 percent of the vote to Trump’s 46 percent. Sanders and Warren are tied close behind him with 52 percent to Trump’s 48 percent. O’Rourke inches out Trump with a two-point margin of 51 percent to 49 percent, while Harris and Klobuchar both appear to be 50-50 shots. However, the entire Democratic field would receive significantly less of the vote if Starbucks executive Howard Schultz were to enter the race as an independent. For example, Biden’s general election support shrinks to just 51 percent with Schultz in the race. Ideologically, the Emerson poll shows Wisconsinites heading in a much more progressive direction than in 2016, with a large majority in favor of the Democratic Party moving to the left to some degree. Thirty-one percent of voters feel the party should move slightly to the left, while 24 percent advocate a much more significant liberal shift, indicating a solid base of support for hard-line progressives like Sanders and Warren. Wisconsin’s Democratic primary is scheduled to take place on April 7, 2020. Read Emerson’s full report on their poll here.